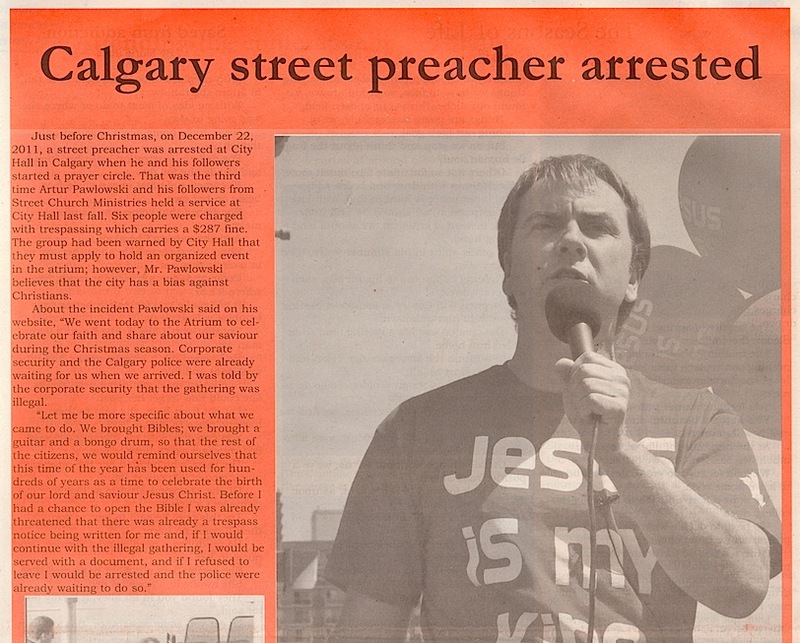 Word is spreading about the miracles taking place on a small corner in the east end of downtown Calgary. Drug dealers, gangsters, prostitutes and many homeless have made public commitments to Jesus Christ at the outreach known as the Street Church. Art Pawlowski and a group of dedicated believers took to the streets almost three years ago to bring the Good News to the homeless. At first they simply handed out pamphlets, trying to be inoffensive and loving. The response was minimal. "The minute we put up speakers and started shouting at them to repent, the people came," Pawlowski told a recent gathering of local pastors. "Since then we’ve had 60-70 water baptisms and we’ve seen 1,000 people come to Christ." Pawlowski and a growing number of people continue to meet outdoors each Sunday afternoon in Triangle Park across from the Calgary Drop-In Centre by the Bow River. "We don’t even have toilets in our church," he smiled, "One Mafioso guy had been stabbed 17 times and shot three times. He gave his life to the Lord," Pawlowski continued, "now he’s off the street and working fulltime in a maintenance job." 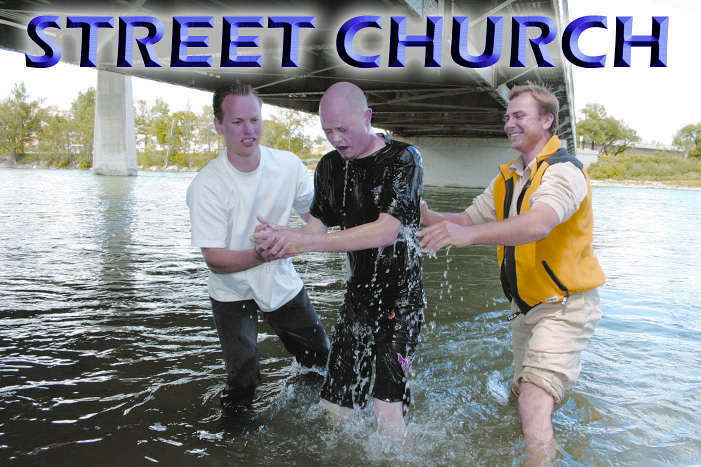 Pawlowski is quick to point out that Street Church is a non-denominational outreach. "We get people saved, baptize them and send them to other churches," he noted. The Street Church has been seeking to link with many groups in the city to get more people involved in their outreach. "We’ve got to unite forces together to reach the city," Pawlowski told CLN, "We’ve united with City Wide Prayer Rally and we will be speaking at the next one in January 20th. We’re ordering 10,000 to 20,000 ‘Jesus flags’ (similar to the Calgary Flames flags seen on cars throughout the Flames’ playoff run last year). We’re trying to get people to join us as we hope to be in the Stampede Parade." On Sunday, January 22 at 8pm, the public has been invited to view a one-hour documentary film about the miraculous life changes taking place on the streets in Calgary. The movie will be shown in the main auditorium at Centre Street Church, 3900-2 Street NE. "Are the prayers, offered by thousands of people, for revival in this city being answered?" Pawlowski asked. "Is this the beginning of a great movement of God for this country? Watch for yourself." For more info on this documentary and the work of Street Church contact Art Pawlowski at 607-4434.